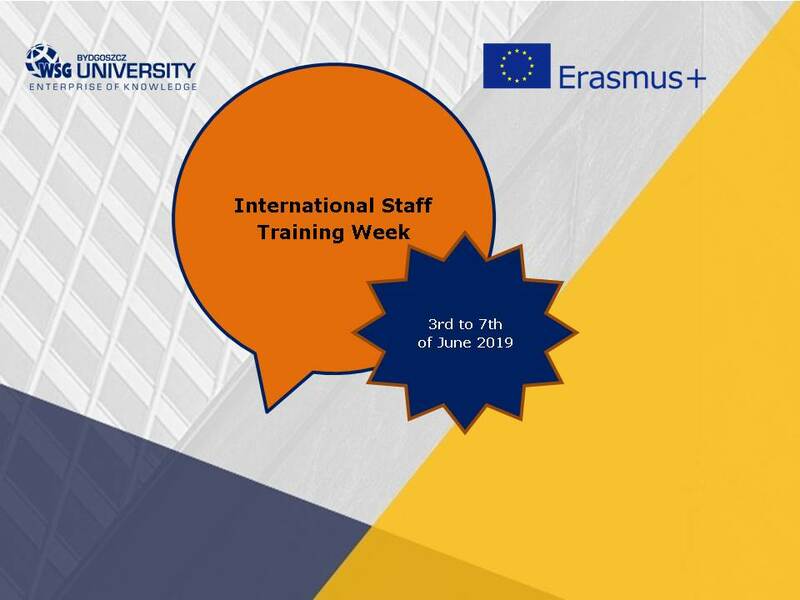 The International Affairs Office of the University of Economy would like to invite you to participate in the International Staff Training Week under the Erasmus+ Program that will be held from June 3 to June 7, 2019, in the University of Economy in Bydgoszcz, Poland. We would be very pleased if you and your colleagues could attend the event and promote your institution. Please, find on the attached documents more specific information about the International Staff Training Week including the invitation to the Scientific Conference on the topic “Horizons and platforms in science, culture and enterprising” – 30 years of shared experience” which will be organized within the 2019 International week. The participants should cover their travel and accommodation costs through Erasmus+ mobility program. Please be so kind and pass this information to your departments and other academic staff that might be interested in the participation. You can apply to participate in the International Week by filling the attached application form and sending it by e-mail to dsm@byd.pl. Deadline for proposal submission: 15th April 2019. Communication of acceptance: 23rd April 2019. Looking forward to welcoming you in Bydgoszcz!